Maybe it's time to move on, girls. Miley Cyrus' friendship with Selena Gomez reportedly "turned sour" in 2008 because of Nick Jonas. The "Wrecking Ball" hitmaker sparked rumors that the feud is still ongoing when she performed her track "FU" while holding a crude cardboard cutout of the brunette beauty with her middle finger up before throwing it defiantly into the crowd during her Bangerz World Tour in Milan, Italy on Sunday night (June 8, 2014), and friends close to the duo claim they have had issues since they both dated the former Jonas Brothers star. Meanwhile, a friend close to Miley said: "Their issue dates back to their Disney days. 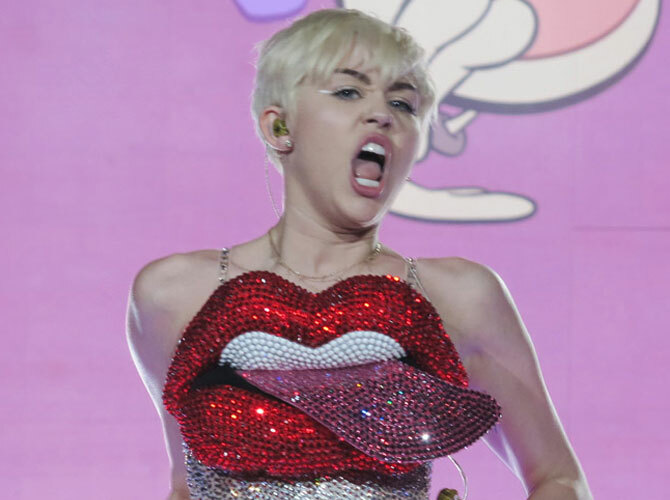 Things turned sour after Miley broke up with Nick Jonas in late 2007. The following year, Nick began seeing Selena and that is when the beef blew up."